Growing up, if I had any spare time, all I can remember doing really is playing football. Whether kicking a ball against the sheds on my estate, and recreating a goal I had seen on the ‘The Big Match’ that Sunday afternoon or playing in a 30 a side game on a patch of waste ground (and somehow we always knew who was on our side?) or playing on the tarmac at my junior school, I was forever seemingly attached to a football. When I progressed to the secondary school and started to grow physically, I somehow naturally gravitated towards being in goal. It felt natural being in there and in there I stayed right up until the age of 16 when pubs, the female gender and a growing love of music, beat the football into fourth place. Though I still attended live games, I lost interest in playing the game. Looking back though, I still remember my playing days with a lot of affection. I didn’t just play in goal then, I actually studied the art of goalkeeping. I watched any game I could and always made a point of examining the technique of the likes of Peter Shilton, Ray Clemence at Liverpool, big Phil Parkes at QPR, Mervyn Day at West Ham, and Bryan King at Millwall before he moved on to Coventry. 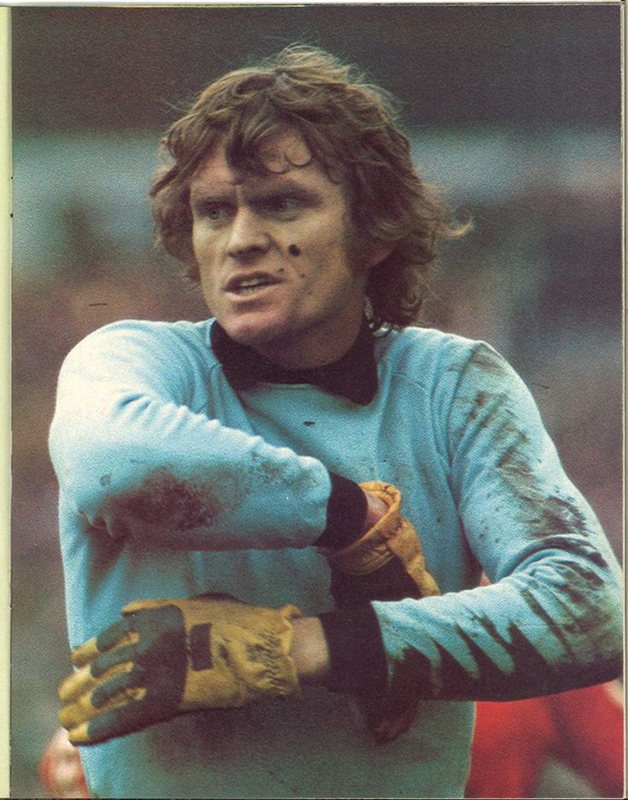 I had a couple of pairs of the green cotton gloves, which were all you could get until the likes of Sepp Maier of (then) West Germany started to wear the large moulded latex gloves, which we all laughed at first and then slowly started to wear ourselves. As I got older, I stood in goal and slowly realised that the position between the sticks was a thankless one really. If you made a decent save, you might get congratulated but there would always be someone say, ‘well, that’s what he’s there for’ so praise was hard to come by. But, if you made a horrendous howler, and in all honesty, I was prone to one or two a game, you got all sorts of dogs abuse aimed at you from all involved on your side. It was like being a loner in a team. And I think that’s why I, perversely, liked playing there. Go figure. 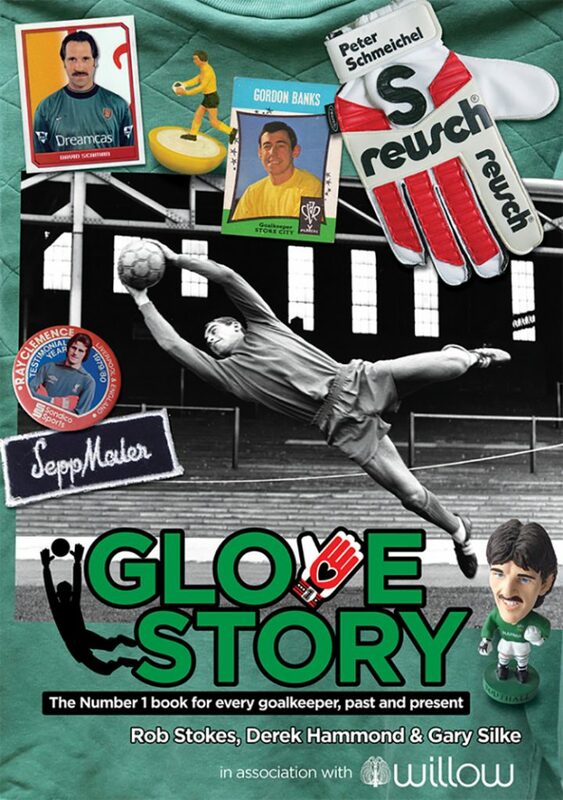 So, when I read recently of a forthcoming book called ‘Glove Story, the number 1 book for every goalkeeper, past and present’ by Rob Stokes, Derek Hammond and Gary Silke, I knew I had to investigate that further. It has some fantastic photos of some of my heroes back then, plus reminders of some great old goalkeeping characters – Hello John ‘Budgie’ Burridge – and focuses on a fantastic collection of keeper memorabilia mainly from the collection of Rob Stokes, a Portsmouth fan, who impressively played 334 games in goal for Waterlooville, where he also scored two goals – both penalties. It also reveals the secret goalkeeping lives of Sherlock Holmes creator Sir Arthur Conan Doyle and revolutionary Che Guevara. Who knew? If you ever spent anytime with any fondness in goal at any level, I highly recommend you get yourself a copy. As I mentioned earlier, I retired from football when ‘outside interests’ took over. Well, a few years ago I had a call one day inviting me to play in a promotional game for kit supplier Umbro. My first instinct was to say no, but when it was explained to me that the game was being played at Wembley Stadium with all kit supplied, I soon changed my mind. Of course I went in goal.